Srinagar : Governor of Jammu and Kashmir, N N Vohra has sought clarification from ruling BJP-PDP on their intent of running the state government, and has asked them to clarify by tomorrow. People’s Democaratic Party (PDP), under Mehbooba Mufti’s leadership, has been contemplating on the road ahead regarding running of J and K state government. The contemplation is in the lines of whether to continue with the status quo, or tread new path. The government, which was being show-managed by an alliance between Bhartiya Janata Party (BJP) and PDP, under the able leadership of her father, Mufti Mohammad Sayeed, bumped into a crossroad since his demise. Thereon, Mehbooba Mufti, the party President, has been taking her own time in making up her political mind. Finding no solution yet, the governor has asked both parties to take a final call. 10 month old alliance between BJP and PDP is on the wait, as Mehbooba Mufti, who is expected to occupy Chief Minister’s seat, vacated by her father’s demise, has been holding party meet and pondering over the CMP (Common Minimum Program), set between the two parties, under her father’s agreeance. She has been deferring the oath-taking decision since long, and on Sunday, sent mixed feelers on her intent of government formation. She spoke in these exact words to her party colleagues — I will stand by the core ideology of PDP even if I’m all alone. I will go back to the people. A PDP communique revealed that Mehbooba Mufti has apprehensions about the CMP — she spelled out her condition for government formation – that the Central government ruling BJP, must deliver on promises made in a common agenda of governance they agreed upon. BJP is maintaining that it would adhere to the CMP and has no intentions of flouting it. Sounding confident about continuity, leaders from BJP, both at state and centre, are optimistic about a re-rule of BJP-PDP alliance taking shape in J and K. Top BJP leaders in the state are scheduled to meet today and later travel to Delhi to hold discussions with the party’s central leadership. 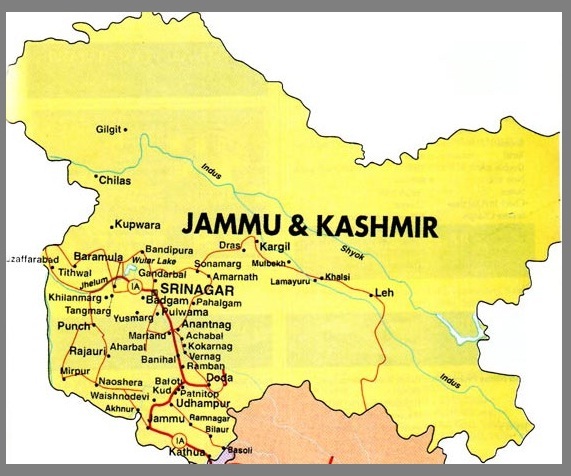 Jammu and Kashmir, presently under President’s rule, had shown a mixed bag of results in the Valley and entire state during last assembly polls, as PDP and BJP had won 27 and 25 seats respectively, and decided to enter into an alliance based strictly on CMP, albeit both parties subscribing to entirely tangent ideologies vis-a-vis each other.